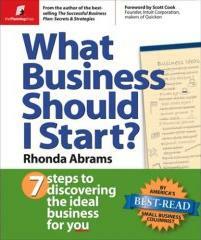 Many articles about starting a business advise you to follow your passion by turning your hobby into a business. Before deciding to turn your hobby into a profit seeking business, let's examine the pros and cons. Many articles about starting a business advise you to follow your passion by turning your hobby into a business. But do you really want to turn something you love into a source of financial worries and problems? Having to earn money from your hobby changes your focus from enjoyment and relaxation to productivity, keeping the customer happy, and the financial bottom line. The activity that you love becomes work. Before deciding to turn your hobby into a profit seeking business, let's examine the pros and cons. • You already have a knowledge of the product or service. • You enjoy and have a passion for the product or service. • You already know sources, and suppliers. • You already know customers and distribution channels. • Your source of enjoyment and relaxation becomes work. • You can no longer choose your own activities, the customer dictates them. • The most boring and unpleasant parts the hobby are going to be the most profitable parts. • Your skills may not be up to the required level. • The hobby business may not be able to provide sufficient income. It's likely that many other people are attempting to turn the same hobby into a business. Hobby related products and services business attract many competitors. Some competitors may not be required to earn a living from their business. Some competitors may not even be required to make a profit at all. The best times in your life to turn your hobby into a business is when you're young and don't have the financial responsibility of raising a family, and when you're old and don't require a large amount of income to survive. There are many people who have succeeded to turn their hobby into a profitable business. They do what they love and follow their passion. But in many cases, the chance of turning a hobby into a profitable business is about the same as an amateur singer becoming a rock star. Before deciding to turn your hobby into a business, assess how much income you require compared to the realistic profit potential of the business.